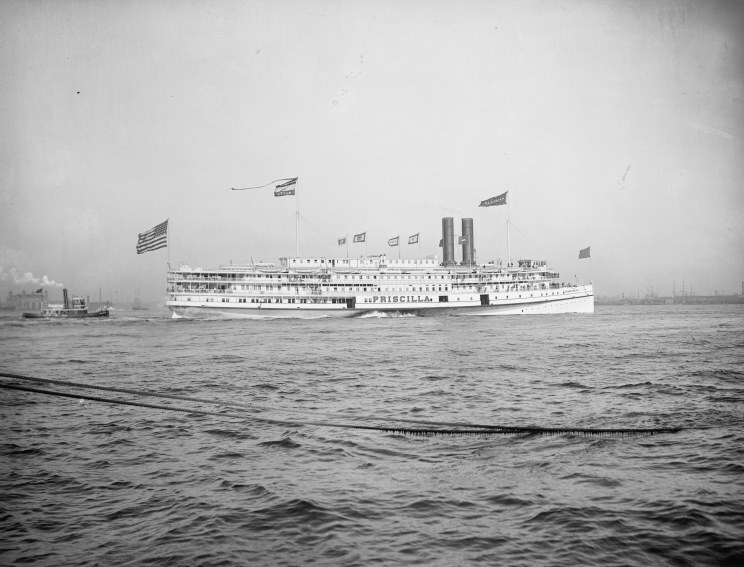 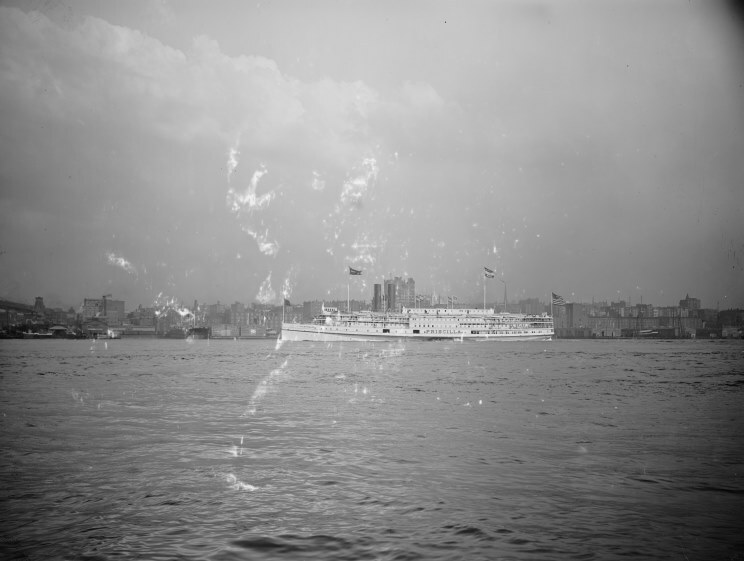 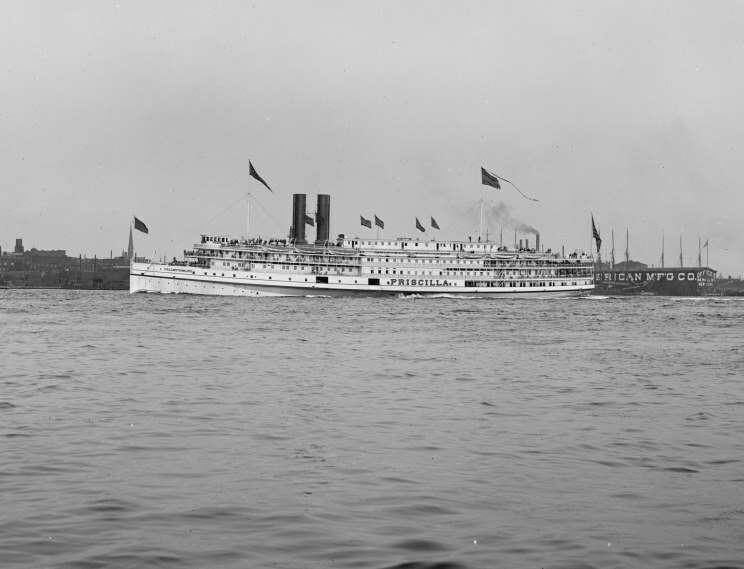 Priscilla seen in the early 1900's. 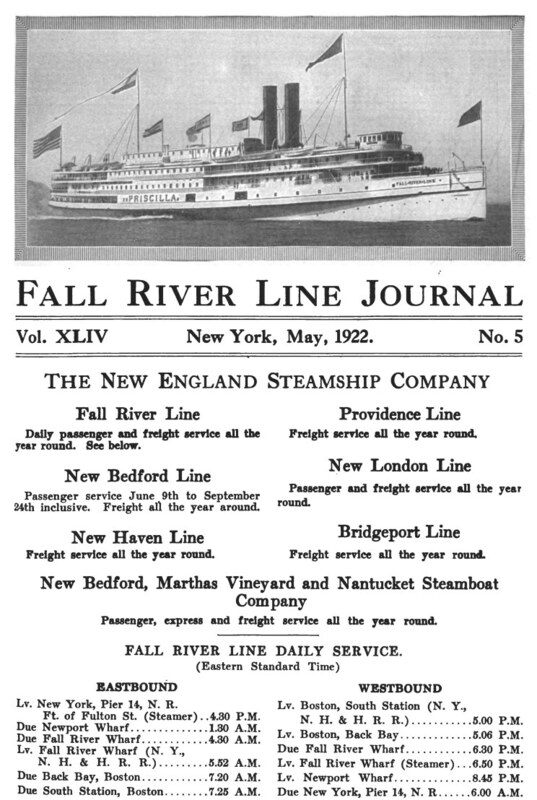 May 1922: Priscilla seen on the inside cover of the Fall River Line Journal. 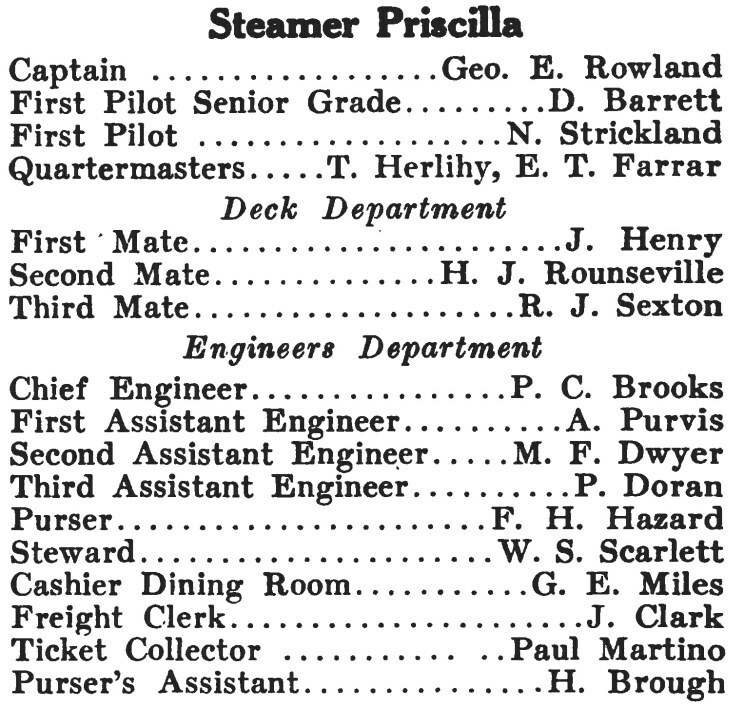 August 1922: List of the officers and men of Priscilla published in the Fall River Line Journal. 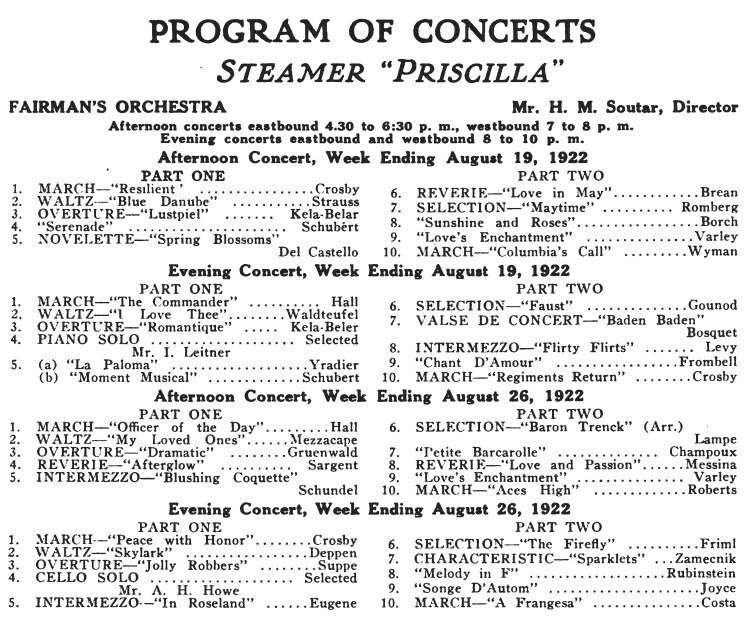 August 1922: Advertisement showing the concert schedule on Priscilla published in the Fall River Line Journal.